First published in 1997, this volume consists of chapters placed before a series of meetings organised by the Rome-based international School on Disarmament and Research on Conflicts (ISODARCO) which reviewed the prospects relating to the countries of the Former Soviet Union and of the other members of the Warsaw Treaty Organization. 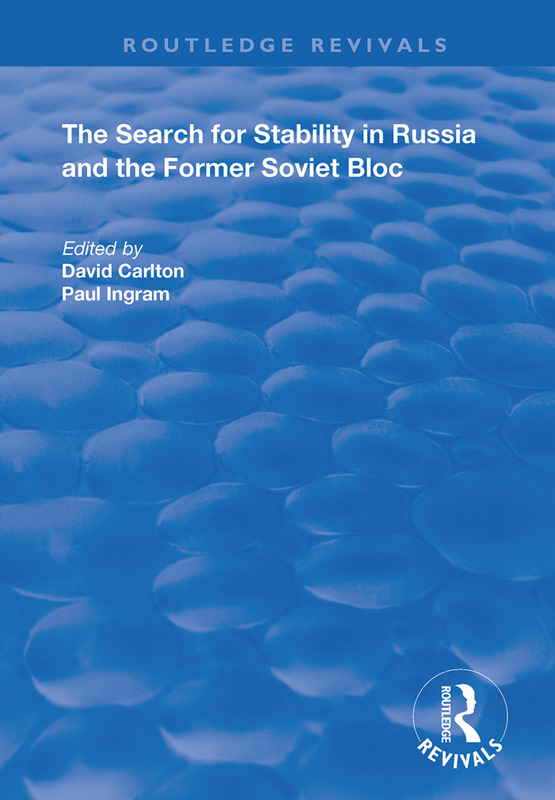 The authors include Western experts, as well as distinguished commentators from Russia itself. Among the latter are Georgi Arbatov, Ruslan Khasbulatov and Alexei Arbatov. An earlier volume of chapters deriving from this same series of meetings was still in print at the time of original publication in 1997, namely Rising Tension in Eastern Europe and the Former Soviet Union.